Smart Math Calculator is a convenient calculator that makes it incredibly easy to do all your calculations in one place. It has a beautiful user-interface that is specifically designed to reduce the amount of time needed to pop up the calculator, type an expression and get the result. 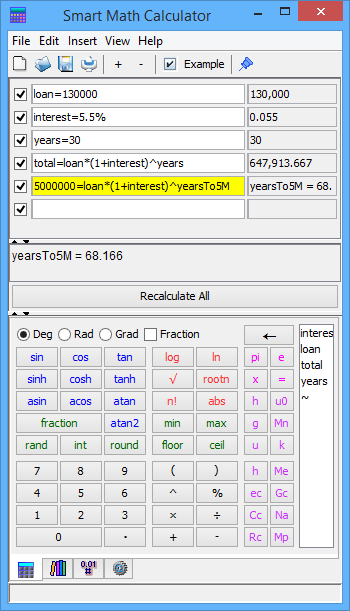 It automatically saves your calculations so you can continue from the last session every time you start the calculator. 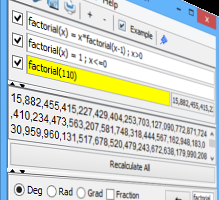 You can use this calculation for simple everyday calculations or advanced high precision computations. This software works in all major desktop and laptop operating systems. Download the free 30-day trial version now to start plotting beautiful graphs.